Arsenal boss Unai Emery addressed the media on Thursday ahead of his side’s clash with Newcastle United, but it was off-the-field matters that dominated discussion. The Spaniard will be hoping his side can build on their up-turn in form prior to the international break after recording back-to-back wins over West Ham United and Cardiff City. However, various topics have been brought up over the international break, one being Emery’s relationship with Ozil, as well as the future of CEO Ivan Gazidis amid speculation that AC Milan are looking to prise him away from north London, as noted by The Guardian. The Arsenal boss didn’t have much to add on the Gazidis front, but was sure to dismiss any suggestions that there are issues between him and his German playmaker. Emery can only focus on matters on the pitch and leave Gazidis to make his own decision, but as far as Ozil goes, it will be interesting to see if the 29-year-old begins to play a more prominent role in the coming weeks. Aside from being left out of the squad against West Ham, the former German international has failed to register a single goal or assist in his opening three Premier League outings. 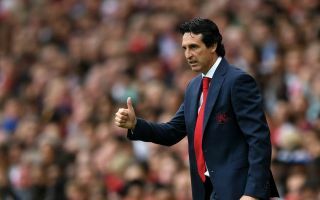 As he continues to adapt and adjust to Emery’s tactics and system, the Gunners boss was keen to rule out talk of potential problems brewing between the pair but time will tell if that changes.